Great action scenes, quirky characters, and laugh-out-loud lines have mesmerized readers of the Magyk series for six books. The seventh and final book is a fantastic send-off for Sep, Marcia, Jenna, and the rest of the Magykal gang. Now that Septimus, Jenna, and Beetle are fourteen years old, they have assumed larger roles in their Magykal world. Beetle has become the Chief Hermetic Scribe of the Manuscriptorium and Jenna is waiting to be crowned Queen, but Septimus is still battling the remnants of the Dark Domaine, which will remain until the power of the evil Two-Faced Ring is destroyed forever. To accomplish that, the ancient Alchemie Fyre must be relit—a task that sends Septimus to the very origins of Magyk and Physik, testing both his skills, and his loyalties to ExtraOrdinary Wizard, Marcia Overstrand, and Alchemist Marcellus Pye. Awesome!!! I can’t wait!!! But isn’t Beetle older than Sep and Jenna? In Flyte when he was first introduced, he was older by a year, I think. Yes he is! I don’t know where this blurb came from… will track it down. I love your books! They’re awesome. I just started reading and I’m already more than half way through Syren. In opinion though there should be 12 year old orphan girl Septimus meets named Lilia Avalon who’s the seventh daughter, of a seventh daughter, of a seventh daughter, of a seventh daughter, of seven daughter, of a seventh daughter, of a seventh daughter. I am really sorry about the wait…. When will the “Fyre” audio book be coming out? It’s already out, only not on CDs (you can download it on Audible.com). What are you talking about Merrin’s the best! I completely flipped out when I saw this. So exciting!! Anyone else thinks the object looks like the Wizard Tower Pyramid? And the hieroglyph is so cool! Ah! Is the dragonboat in it?? I´ll read it in Swedish, so it will take longer time…….. Oh I just can´t wait!! Wow… I can’t wait! I sat there for a few minutes, reading and re-reading and staring at the cover! Why can’t it come out sooner?! Merrin is the best, it’s true beetle was 13 in Physik while Jenna and Septimus where 11. You’r so lucky my birthday is the day I go back to school!! Yes, it shouldn’t say that! I love it ! But wasn’t Beetle older than Septimus and Jenna with 2-3 years ? That’s what I thought! I think in Flyte it said 3 years. OOOOOOH, SUCH A NICE COVER!!! That is probably the best blurb I have ever read, and probably because it says, “Fyre weaves together every singular character from the entire series”. Yay! I can’t wait to read it and find out! A: Ohmahgawsh, there’s a new one coming out, my life has been fulfilled. I’ll be the same age as Jenna when Fyre comes out!! I know her birthday is MidWinter’s Day, but when is that in our boring world? Is that the american release date? Or will I have to wait for it longer, living here in the UK? Yes, that’s the American release date. We are going to give you the UK date very soon. Deseando el lanzamiento de la versión española de este libro para comprarla y poder completar esta magnífica serie de libros. i thought beetle is supposed to be 3 yrs older than jenna and sep ? why does it say that he is fourteen ???? shouldn’t he be 17 ???? yes he is! I dunno why it says this. 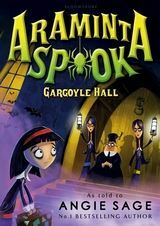 I just finished Darke I think jenna should get Magykal/Darke Powers from her witch clothes and stuff and beetle needs something more than CHS, My favorite is character Spit Fyre he is really funny (his thoughts) ‘annoying lady in purple’ lol. im soooooooooooooooo excited! hope they don’t run out of books! They can always print some more. I’d like them to run out – then we’d hit number one! i can’t waittttttttt!!!!!!!! i really love the cover!!! i love the dragon on it and is that the Wizard Tower Pyramid? i dunno if it is but it looks like it. can’t believe its almost over!! *sobs* and i’ll have to wait even longer cuz i live in malaysia. I love your books! In my opinion there should be a 12 orphan runaway year girl Septimus meets when he’s 14 named Lilia Avalon meets who’s a seventh daughter, of a seventh daughter, of a seventh daughter, of a seventh daughter, of a seventh daughter, of a seventh daughter, of a seventh daughter but she doesn’t know it. It’d be cool if there would still be people like Hotep-Ra and DomDaniel in Fyre. Also, I’m not sure about this, but does the Ancient Alchemie Fyre in the description have anything to do with the great Alchemie Accident that’s been hinted at in the previous books? I think it might be because they sealed the tunnels with ice (Ice Tunnels) but i’m not sure. The wait is REALLY long though. WHy so long? I like marcia becuse she is funny. I got part 1 at my 11th birthday and I payed MAGYK not much attention but that summer (now I’m 12) I’ve finished my other book and starter to read!! Yesterday I finished DARKE and must wait for FYRE!!! when will it be on sale in Austria????!!!! Ahhh! I can’t wait until it comes out! My mom and I are HUGE Septimus Heap fans, and Fyre looks awesome! So….now that you are done with the 7th Septimus Heap, will there be another Araminta book in the works…..? Pleeeease? YAY!!! I cant wait!! …..though it looks like i might have to…. Marcia is my favorite character, along with Spit Fyre. Also, is there anything more about Syrah in the next book, Darke, (that i have to get) because i want her to get better!!! AWAKEN SYRAH! I Found the first five books in a charity shop after all ready having read them over and over again. I was so thrilled to own them and have just ordered ‘Darke’ and ‘Magykal Papers’ They all look so pretty on my bookshelf! Every time a new book comes out I re-read the others in the series. I often have to stop reading because I’m laughing so much or shouting at the characters…. I can’t believe this is the last one, Will we find out what happens at the end of Septimus’ apprenticeship? I personally Love Marcia, She makes me laugh so much and has such an awesome personality. The books wouldn’t be the same without her! Thanks so much for writing these books Angie! And good luck writing the rest of the book. It’s sad that it will be the last book but hopefully someone can persuade you otherwise. I love all the subtle hints in the book, Did anyone notice how in ‘Darke’ It was noted that Marcia is the 776th extraordinary wizard, so guess what number Septimus would be if he became the Extraordinary wizard… 777th, He’s the 7th son of a 7th son and there are 7 books in the series. So it make sense to have everything in 7’s. Can’t wait! also, Anngie, do you have any advice for someone who is wanting to write a book? i’ve already got an idea and have written a 34 A4 page long Doctor who fanfiction so i can write quite well but i am willing for all the advice i can get so people will like my story. I can’t wait until Fyre comes out, it looks AWESOME. Although the release date seems far away, it’s not actually all that long. By the time winter comes, I’ll be like “It’s not long!” And by spring, I’ll be like “It’s only another month!” I love the series, I recently reread them all, and I’m already excited for the new book. i love this series of books more than anything! I cant wait for fyre! And I think one of the old enemys should return (domdaniel, Hunter) You have inspired me to write my own book. Can you give me some suggestions? i cant wait for fyre angie you are my favorite author of all time! you made me look at things in a whole new way like i was playing a game with my friend the other day that we throw a ball to each other we name an animal and i got all exited when i screamed BEETLE!!!!! Is Snorri going to be on this one? The thing says it binds all of the characters together so probably. I hope so. Yes. Fyre Fyre Fyre Fyre Fyre Fyre FYRE!!! It comes out soon. I shall read it. I will get it the day it comes out. I will read it. But then there will be no more books… DX I just rereread (read for 3rd time) books 1-6 in anticipation of Fyre. I is so excited. SO EXCITED. FYRE FYRE FYRE FYRE FYRE FYRE FYRE FYRE FYRE FYRE FYRE FYRE FYRE!!!!!!! P.S. I am not always this hyper. Marcia is my favorite! Perhaps because she acts a bit like me and my friends. . .
what is the release date in India? I can’t wait to read this book….its my favorite series!!!!!!! Dear Ms. Sage, I am a Librarian and I like to keep up with Children’s Lit, at least fantasy & Sci Fi. I have thoroughly enjoyed the Septimus Heap series. I have listened to them in audio and the narrator is wonderul. I find myself laughing out loud. Congrats! La la la la la, scrolls down screen. What shall I do today? I know! I will obsessively look up the Septimus Heap series. Wait! Another book?!? -hypervenilates- bwah ha ha! Must buy!!! Nooooooooo! I HAVE TO WAAAIIIITTTTT!!!!!!!!!!!! Oh, My, God!!!!!! Fyre sounds awesome. I just wish it would come out soon. I wonder if Jenna and Beetle will get married? Maybe Septimus and Syrah will get married too? ANSWER ME ANGIE SAGE!! WILL THEY????? They probably will in TodHunter Moon. I couldn’t agree more. How about a RosexSep? Or like a new girl? Not the 5-years-older-hot-chick and not his sister. Or maybe, no one at all… Not every story has to end with a matchup. I am a HUGE fan of the series but just have a question. when the dark domaine was going on why didn’t they just release all of the jinee? Cant wait until Fyre! It’s not real life its a book, and if they did that then there would be nothing else except his Darke week to write about which would have bored me to death after Queste and Syren i’m done with them kind of survival adventures. The jinn are under permanent confiscation because they’re too dangerous. Besides, they were darke jinn, so I don’t think the Darke Domaine would have a very good effect on them if they walked around in it. Ack can’t wait that long. But yet It’s long enough. I don’t want the series to end! Hahaha YES 13 DAYS TO GO!!! WOOHOO get in this is AWESOME the series is great why does it have to END!!! Love Satimus Heap! Can’t wait till FYRE comes out! I thought that Darke was the last one, until I saw an advert for FYRE!!! Angie Sage, thank you for creating such a WIZARD series! I LOVE your books! They are not like any other books I have ever read! I love how the characters all have their own, unique personalities, and how the twists in all the books are AMAZING! I also suspect that the object on the new cover is the pyramid in the books (can’t remember the name). It looks + sounds brilliant! More people should know just how amazing Angie Sage is in the U.K!!! I am trying to persuade my friends into reading them, but so far, with no luck. I can’t believe that FYRE is the last book! NOOOOO!!! The books are just fantastic! Sometimes, I have to stop reading for a minute, because I can’t stop laughing! Then, my friend looks at me weirdly, and raises one eyebrow, which drives me round the bend! Then, I start yelling at the book, and shouting, NOOOOOOOOOOOOOO!!! Then, my friend does the same, and it’s soooooo annoying! I just LOVE, LOVE, LOVE your books! It’s too sad that the adventure has to end so soon! P.S: Does anyone get involved with a really good book, when they get to a really good bit?! ie: not breathing when character is underwater, or shallow breathing when you know something evil is going to happen. I think it’s because the book’s so good that you get transported inside, and you feel like you’re with the character! P.P.S: Does anyone feel really calm after finishing a really good book?! P.P.P.S: Stanley is the coolest rat EVER! But a lot of the time, I feel really sorry for him! Can’t wait to see him again in FYRE!!! Can not wait to read Fyre, im sooo sad its the last book though. Thank you Angie sage for introducing me a series of fantastic books. When is the India release date??? The number of book lovers here, you should release here first!!! Y u no come out sooner? I think that Beetle is a little too old. In the book, it sounds like he likes Jenna, but he is definetly too old for her.